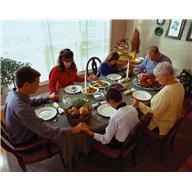 In a few days, we will be sitting down with family and/or friends to celebrate all that we have by giving thanks. However, if you are unemployed, you are pro bably wondering what you have to give thanks for. Well you do have a lot to be thankful for. In this post, I will share with you many of the things I will be grateful for when I gather with my family on Thanksgiving. My family has been with me through thick and thin. We have celebrated happy occasions and supported each other through the sorrows. The big sorrow we faced this year was the death of my father. We all miss him, but none more than my mother. However, his passing was peaceful and painless. He was sick for a very short time and didn’t suffer, and I am grateful for that. I am grateful for the love he and my mother have given me through my life, for all the sacrifices they made to give me not only with what I needed, also what I wanted. My husband, daughter and son have given me many reasons to be proud and grateful. We have created so many wonderful memories throughout the years. All three have given me unconditional love and encouragement to be the best I can. This year I will celebrate Thanksgiving without my children. My daughter will host a dinner for her husband’s family at their home. My son lives at the opposite end of the country now and won’t be home. Their presence will not be seen but only felt in my heart. Which leads me to be grateful for the technology that allows me to connect with them, to hear their voices, and see their faces when they are far away. There are many people I call friends. We share meals, conversation and enjoyable times. And are there when I need them. I am grateful for the many people I have met through various networking support groups. They have shown me support, tips and leads. Most importantly they showed me where my passion is. Patiently they listened to me practice my skills on them as I learned to be a career coach. The internet has profoundly influenced the job search process. I am thankful for the information that is free and the people who share information to help others. Because of the internet, I have met people from all over the country and in 4 other countries, as well. I have learned with them and from them. I met these people on Facebook and LinkedIn and continue to connect with them. I have also reconnected with old friends on these sites to resume lost friendships. My house is small but warm and dry and keeps me safe from storms and dangers. There is food in the cupboards and refrigerator that is nutritious and healthy. My car is reliable and gets me where I want to go. I have the proper clothes that keep warm in the cold or cool in the summer. a bit actually. I have the love of family and friends and have the things I need. And I have much more to be thankful for but I think you get the idea. Gratitude changes your perspective. You go from looking at the glass as half empty to half full, and it makes you feel better about everything. What are you thankful for? If you answered yes to any of these questions you will love the Job Search Networking Support Group. Click here for more information. « Unemployment and the Holidays: Yes they can be compatible.